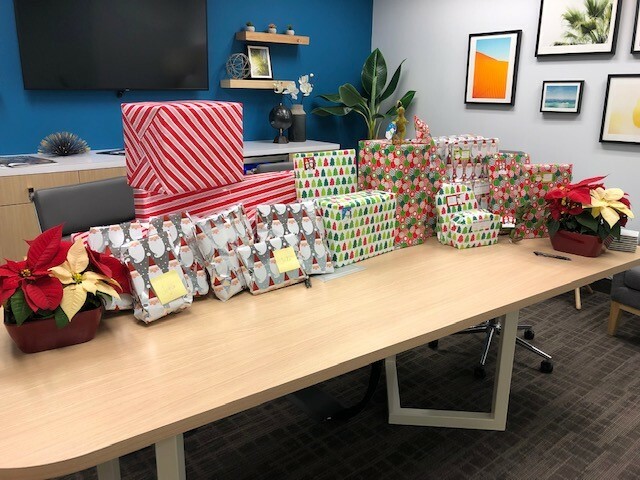 In the spirit of the holidays, the 8020 Consulting team came together for the third season to sponsor post-9/11 wounded and disabled veterans and their families through Soldier’s Angels. As a group, the company supported 2 families and 8 children with gifts of their choosing, including toys and clothing as well as gift certificates totaling nearly $500.00 for use in purchasing a nice holiday meal. Soldier’s Angels helped more than 362K service members, veterans and family members in 2017 alone! 120.2K in items were provided to veterans at VA Medical Facilities, 6K of voice-controlled adaptive laptops were provided for wounded, 851K care packages were sent, 1.7M cards and letters were sent to combat deployed, and 22.1K + Veterans were provided with food assistance. For more information about this fantastic organization please visit https://soldiersangels.org/.